Azie Faison, former Harlem cocaine kingpin, at the 12 September 2011 Paley Center roundtable for the VH1 documentary Planet Rock, and how his 1987 emcee crew Mobb Style, influenced Biggie, Tupac, Nas, Jay-Z, and Rick Ro$$. If Kendrick Lamar is Hip Hop’s Dylan (as Rap Mu$ick, LLC struggles not to go blowin’ gently into the wind of that good night), then William L. Roberts is its F. Scott Fitzgerald. His Gatsby is named Rick “Rozay” Ro$$. Unlike Fitzgerald, Roberts has stepped from behind the pen to actually and inhabit and breathe life into his fictional creation. Roberts’s Ro$$ is undoubtably one of the most fascinating, enigmatic, and controversial rap personas, in a grotesquerie populated with ghettofabulous mythologists. Like Prohibition in the 1920s, the American Crack Epoch of the 1980s birthed a generation of desperate young African American men swirling in the twisted dervish of a politicized and shadowy narco-economy. Emboldened by the cri de guerre of Never Get High On Ya Own Supply, this battalion of the disenfranchised, this army of tabulae rasae rewrote themselves into a dollar green team with triple beam schemes. Street-tested and scarfaced soldiers charging headlong into the battle for the American Dream. The 1980s proved to be one of the most transformative eras in modern American history, especially for African Americans. The political fissure created by the calamitous Iran Hostage Crisis ushered in a former actor and laundry detergent shill by the name of Ronald Wilson Reagan. The election of the former governor of California was the coin of the realm for the RRC (The Republican Ruling Class), and a return to an America that was white, Republican, repugnantly racist, remunerated, and removed from plight of America’s working class and poor. Crack cocaine turned Reagan’s Morning In America into a terrifying Mourning In Black America, according to the late Gary Webb, and his acclaimed ”Dark Alliance” series of mind-blowing investigative features for the San Jose Mercury News in 1996. The amalgam of an alleged high-ranking narcotics trafficker—Oscar Blandon—members of the CIA, and (by inference) President Reagan giving the green-light to the CIA on 1 December 1981, to begin covert paramilitary operations to topple the Sandinistas in Nicaragua, buried inner cities across America under an asphyxiating tonnage of flaky, alabaster death. The murder rate skyrocketed in urban areas across all fifty states. Entire families were ravaged by the little white genie caged in blue and red-topped vials. Cocaine and crack cocaine also transformed five-dollar boys into multi-million dollar men. Men like Los Angeles crack kingpin Ricky Donnell Ross, a.k.a. Freeway Rick Ross, a.k.a, the Real Rick Ross (see Mike Sager’s feature in the October 2013 issue of Esquire), and Harlem, NY cocaine czar Azie “AZ” Faison. Both men rose from poverty to achieving riches nearly on par to those in RRC. The irony of it all. However, crack house nouvelle riche is not Park Avenue old money with the right complexion and political connections. Both Ross and Faison suffered as they climbed to the top of the world, only to slip, fall, and lose all of their ill-gotten gains. Ross spent most of his adult life in jail. Faison was shot nine times in a robbery/ambush in an apartment in the Bronx, NY, and left for dead. By the Grace of GOD, Faison is still alive, Ross is out of jail, and both men are walking cautionary tales of the life William L. Roberts’s persona as Rick Rozay Ro$$, seems to exalt and promulgate non-stop. It is widely known that Roberts (who was exposed by the snarky legal doc website TheSmokingGun.com, to have worked as a Miami correction officer in the ‘90s; a charge Roberts initially denied, but eventually owned up to), shoplifted his name and d-boy CV from the former LA coke dealer (Ross has taken Roberts to court over his unauthorized use of his name). But in a way, Roberts’s appropriation of Rick Ross’s identity has a lot more to do with homage than hubris. Although it is a misguided ideal to look up to Freeway Rick, Azie—or Leroy “Nicky” Barnes in my generation—as heroes, before the election of Barack Hussein Obama, some young black men like Roberts may have felt as if they didn’t have a lot of choices for role models. When crack infiltrated Hip Hop, many young black men adapted surnames such as Gotti/Montana/Gambino/Brown; a move which indulged their appetite for destruction, while attempting to devour the world and everything in it. So maybe Roberts’s transmogrification into Rick Ro$$ was his fabulist navigation on the road to da riches. Who knows? 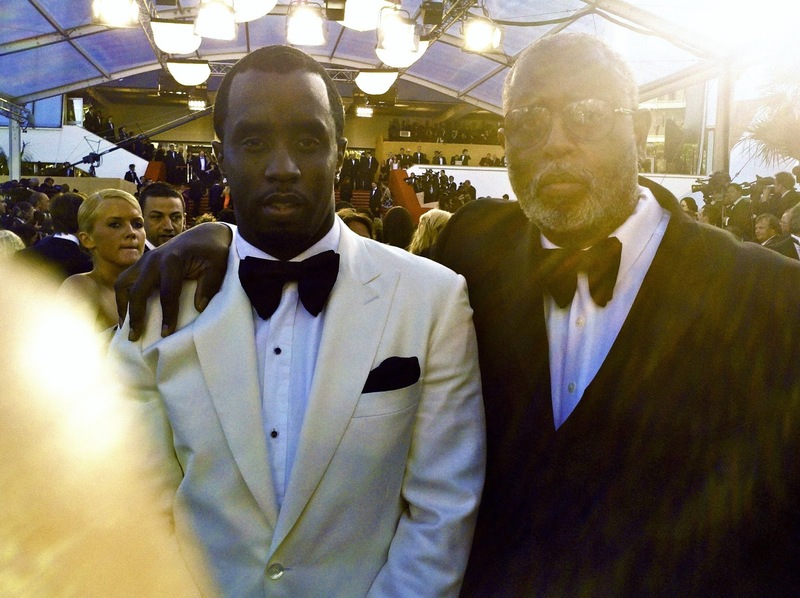 Move over Carolyn Scheufele and Chopard; Hip Hop has commandeered the 2012 Cannes Film Festival. Snippet from "Postcard From Cannes 2012" a film by Barry Michael Cooper from Barry Michael Cooper on Vimeo. I am transfixed, as I watch Roberts’s Rick Ro$$ character ensorcel a crowd of international millionaires and billionaires at the tony Gotha Club on Promenade de la Croisette last year. “I think I’m Big Meech/Whuhh!/Larry Hoover,” the crowd answers back, as Ro$$ leads them in a frenzied call-and-response of his digitized crunk-funk paean B.M.F. (Blowing Money Fast). Observing a room full of jet-setting one-percenters holla back at the stage, reminded me that crack not only made hip hop corporate, but very wealthy. From KRS-One to Rakim to Azie Faison’s Mobb Style crew; from Diddy, to 50 Cent, to Jay-Z, crack-cocaine took Hip Hop from the street corner to the corner office. Cocaine rebuilt Hip Hop into a pharm-raised construct; a fantast tableau-vivant built on crack rocks. A fantasy that extended it’s reach far beyond the g-code of New Jack Cities in almost every zip code, to the suburban middle-class and affluent white kids who couldn’t get enough of an ethnology that both frightened and seduced them. Which also means, it doesn’t matter if this audience of the super rich is familiar with the real story of Chicago’s feared Gangster Disciple leader Larry Hoover, or the street saga of Demetrius “Big Meech” Flenory, paterfamilias of the powerful and legendary Black Mafia Family cocaine cartel. They are caught up in the moment of Roberts’s/Ro$$’s ornately fictive tapestry. The audience believes it, because Roberts’s character believes it with a passion. After his well-receved set at the Gotha Club, I’m sitting next to Roberts in the dining room of the mega yacht appropriately named Ikon. It’s me and Puff, along with the hilarious Mike Epps (possibly the heir-apparent to Richard Pryor), some industry big wigs, and William Roberts and the crew from his Maybach Music Group. A luxury ship full of kids from the hood, eating chicken and waffles at 4AM, floating dockside in the l’heure bleue of the French Riviera. There is a Dadist disconnect to the transcontinental reality of a manufactured Ro$$ chilling on a billion dollar yacht, and the authentic street dudes who had a payday during crack’s heyday. The same dudes who posed for the Polaroid paparazzo in front of clubs like the Rooftop in Harlem, kneeling on one knee—Rikers Island/C-74 style—in front of spanking brand new BMW’s, Volvos, and Benzes. The same dudes who copped, cut, weighed, bagged, kidnapped, and murdered their way into the fraudulent mindset of being formidable and un-fk-widdable. The same Dapper Dan dudes overwhelmed by a fist-full of benjamins and spellbound with the new car smell of Rolls Royce dreams. These same get-money dudes wanted to make it to the French Riviera, too, and drink Krug until the sun winked at them over the Mediterranean. But these same dudes are now in jail, broke, or dead; framed by frayed Polaroids colored in the sepia recompense of vanquished memories. Milton’s street step-children; Ghetto Paradise Lost. Roberts told me he was a big fan of my 1991 screenplay New Jack City, and I told him that he is a great storyteller. He also has one of the sickest flows in the game. Roberts’s enunciations sounds almost like a countrified apostolic preacher; a glottis choked with mellifluous tears, laughter, pomposity, and madness, accented by his trademark Whuhh! That Whuhh! is Roberts’s article of faith. Despite his linebacker girth, Roberts seems to float weightless in the emotional fluids of some unidentified melancholy; his tales of gutter glam belie a foreboding sadness. Maybe it’s the balancing act of how his Ro$$ character can continue to talk about a life he may not have actually lived. Or maybe the veracity of an all-too-real duffle-bag boy past in perico-ville adorns William L. Roberts’s memories like a mink jacket lined with daggers. Or maybe he has taken the real Rick Ross’s advise to heart, and Roberts is troubled by the promotion of a negative lifestyle to millions of impressionable young minds. I can’t call it (so I’ll stop dialing). But what would be dope—in this crack cocaine/Hip Hop version of the strategy of attrition—is if Roberts would collaborate with Rick Ross. William L. Roberts teams up with the real Rick Ross, and tells the real street story. The rise. The fall. The gift and the curse of having it all. That story of the ghost of Crack Past, Present, and Future staring right back in the mirror, whispering that it’s all gone, right before the alphabet boys come crashing through that door, guns drawn, warrants fluttering, and handcuffs swinging. That would be surreal recognizing real. And that would be so gangsta. @Sheldon Taylor: Thank for your kind words Sheldon. I appreciate it good brother. Your words flow like soft silk in the morning breeze. Even for people who have such hate in their hearts for this man, they have to love and appreciate the story. Hip Hop needs you BMC. 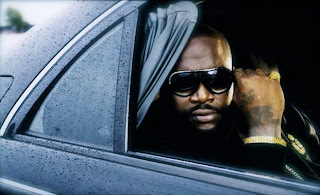 Rozay should be very honored! @angelfayce30: Thank you so much for your kind and inspiring words, Angelfayce30. I truly appreciate it and GOD Bless you.